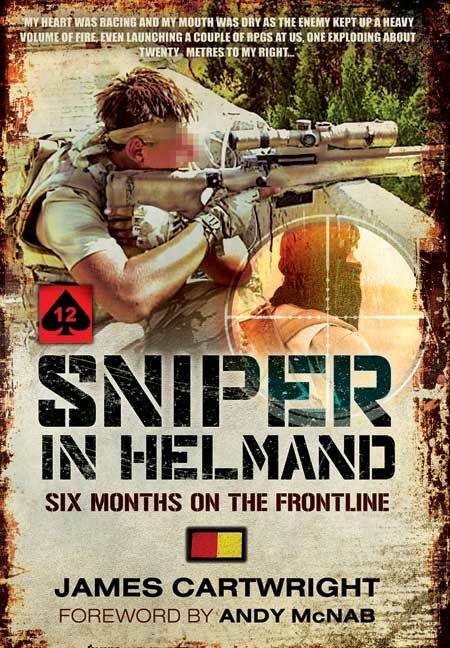 You'll be £8.99 closer to your next £10.00 credit when you purchase Sniper in Helmand. What's this? James describes the highs and lows of almost daily front line action experienced by our soldiers deployed on active service in arguably the most dangerous area of the world. As part of the Battle Group's crack Mobile Operations Group, James's mission was to liquidate as many Taliban as possible. The reader experiences sniper tactics and actions, whether in ambush or quick pre-planned strikes, amid the ever present lethal danger of IEDs. His book, the first to written by a trained sniper in Afghanistan, reveals the psychological pressures and awesome life-and-death responsibility of his role and, in particular, the deadly cat-and-mouse 'games' with the enemy snipers intent on their own kills. These involved the clinical killing of targets at ranges of 1,000 metres or greater. Sniper in Helmand is a thrilling action-packed, yet very human, account of both front line service in the intense Afghanistan war and first-hand sniper action. Andy McNab inspired James to join the army and has written a moving foreword. The author has produced a book that conveys the realities of life for the sniper in Afghanistan, the highs and lows, the fear, boredom and excitement. This is a book that is compulsive and totally absorbing. It paints a graphic picture that introduces the sniper and the many pressures, psychological and physical. It is a thrilling and action-packed story and provides a related view of the other arms that integrate with the sniper. Gripping reading. He tells his story in everyday soldier's English.... but he still conveys the pressures that solders are under. Highly recommended. Contains some interesting details on weapons and other equipment that makes the reader want to learn more. This book, the first to be written by a trained sniper in arguably the most dangerous area of the world, is a first-hand account that reveals the psychological pressures and responsibility of his role. James Cartwright writes under a pseudonym for security reasons.